By dint of their immigrant, refugee, and/or other historically marginalized identities, API survivors face barriers that are compounded by sociocultural factors such as economics (dependency on men as sole wage-earners in traditional families, low wage work for immigrant women), immigration status (e.g., threats of deportation and dependency on abusive family members), culture (e.g., tightly prescribed gender roles), religion (e.g., expectations to submit to male authority), systems failure (e.g., in providing interpreters), homophobia, victim-blaming communities, and limited English proficiency. In the changing landscape of gender violence, unique dynamics, new trends, stringent barriers, and increased manipulation by batterers, API survivors face complex service barriers. Trends include: increased rates of abusive international marriages; survivors losing custody of their children as batterers exploit a partner’s limited English proficiency and immigration status (regardless of whether the mother is documented or not); 20 familicides; and transnational abandonments or ‘marry-and-dump’ occurring after periods as short as three months. Unique domestic violence dynamics in API homes, such as abuse by male and female in-laws and/or abuse related to immigration status compound barriers because these dynamics and trends are not well-understood, and at times not even identified as domestic violence. Sub-groups of survivors can face unique barriers: Islamophobia exerts a chilling effect on the help-seeking behaviors of Muslim survivors; refugees from conflict zones cope with the triple traumas of war, escape and life in refugee camps, and re-settlement; immigrants can face daily macro- and microaggression; victims with limited English proficiency struggle to be understood and establish their credibility; and LGBTQ Asian and Pacific Islander survivors are confronted by a tangle of homophobic familial, community and system structures. Because patriarchal community norms and leaders prevent change instead of preventing gender violence, survivors and their children contend with community-generated barriers. Community reinforcements that keep gender violence in place utilize victim-blaming, silencing, shaming, and rejecting survivors who speak up or seek help. Because the nexus of battered women’s public disclosure and shame is strong, batterers enjoy covert or overt community support and even immunity from accountability. Help-seeking is severely compromised by barriers, backlash, and trauma. All too often, women have experienced or been exposed to violence across the lifespan, and these abuses can be accompanied by negative help-seeking experiences. Negative help-seeking experiences in the past influence future attempts. Japanese women analogize help-seeking to being trapped in a spider web — the more one struggles to get out, the more the web tightens. Indian women use the image of a coiled metal spring — where, with each incident the coils of the spring tighten to end in feelings of subjugation and despair. Complex trauma has long-term negative impacts in many domains and a convergence of different sources and types of traumas can, and do, impinge on trust, including the ability to trust advocates. Though trauma has been understood as an effect of gender-based violence, it is, in our view, also a barrier to help-seeking and healing — and the move to establish trauma-informed systems and interventions attests to that. Survivors from API communities face batterer-generated, family-generated, community-generated, and system-generated barriers, exerted in, and fortified by, a culture of hostility towards immigrants and refugees. 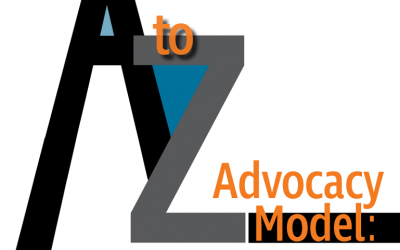 In response, activists, survivors, and advocates have organized and built unique culturally-specific models of advocacy. 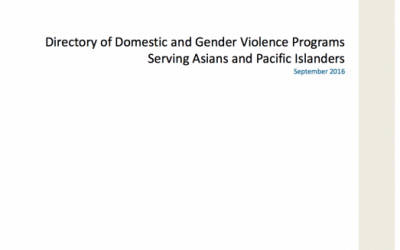 Lists 165 agencies in the U.S. that have culturally-specific programs designed for survivors from Asian and Pacific Islander communities.